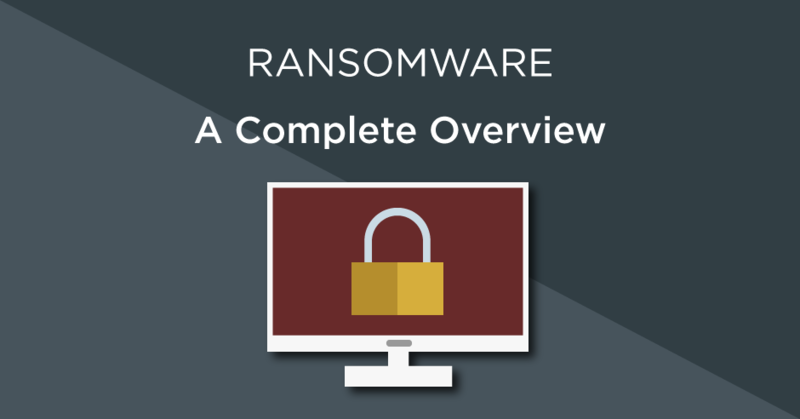 Ransomware is a type of malware designed to block access to a user’s system or files until a ransom (usually paid in a cryptocurrency such as bitcoin) is given to the hacker. There’s a multitude of strains of ransomware out there. Notable examples include CryptoLocker, Crowti (also known as CryptoWall), Tescrypt or Teslacrypt, Teerac, Critrioni, Reveton, Troldesh and WannaCry. But all of these can be simplified down to two main types: encryption ransomware and splash-screen ransomware. This is the type of ransomware most people are aware of. It works by encrypting any files it can discover. Which can be anything from important documents, to corporate databases, to personal photos and videos. Once encrypted, these files will be rendered useless. And in most cases will have their extension changed to make them unopenable. Encryption ransomware will typically use a type of encryption called asymmetric encryption to lock your files. What this means is that the encryption key that encrypts your files is different to the decryption key which decrypts your files. Making the only way to get the decryption key and access back to your files – if you have no backups – is paying the ransom. Splash-screen (sometimes called lock-screen) ransomware restricts access to your files by placing a unclosable, unmovable and persistent window on your screen. The only way to remove this screen is to pay the ransom and only then will you be able to access your files and programs again. Sometimes these splash-screens just include a message telling you that you’ve been infected and need to pay a ransom. But sometimes hackers take things a step further, including the logo of the police, FBI or similar organisation, then claiming that your computer has been locked due to illegal or malicious activity and demanding you to pay a ‘fine’ to have it unlocked. This of course is just another example of hackers using social engineering to try and coerce victims into paying up though. Employees are often the weak link when it comes to security. You must make them aware of the impact their day to day actions can have on the business. If your workforce is unable to spot a phishing scam, for example, then your company is vulnerable. Investing in security awareness training can be greatly beneficial for your business and will help employees. You should already be doing backups as part of your business continuity. But if you’re not, then make it a priority to perform regular, point-of-time back-ups you can restore from. Continuous back-up is ideal, but at the very least, you need to be doing one backup every day. Even then though, a ransomware attack would mean losing a day’s worth of work. Something which could be a significant loss to a small company, let alone a large one. So make backups as often as possible. It’s no good to backup all your data if a ransomware infection can locate and encrypt it. Making sure that the backup location is not a mapped drive is one way to do this. Don’t copy files to another position on the PC, instead backup to an external drive which does not have a drive letter or which you only connect when performing the back-up. Hackers often rely on people running outdated software with known vulnerabilities which they can exploit. To decrease the likelihood of ransomware infection, make a practice of regularly updating your software. Alternatively, look into patch management for your business as a way to automatically manage the installation of patches for you. Whilst relying solely on anti-virus is a bad idea, that doesn’t mean you should get rid of it altogether. Anti-virus should be one layer of your overall security suite, containing anti-malware software and a software firewall. A system like UTM can help you with this. At a minimum though, ensure you are scanning at the email gateways, firewall and end-user devices if you are relying on anti-virus. If your gateway email scanner has has the ability to do so, you may wish to set up a rule to deny emails sent with the “.exe” extension. .exe files, or executable files, are capable of executing code which can be used to instigate a ransomware attack. There are other types of extension capable of executing code to be aware of. But .exe is the most common one. Ransomware is a dangerous threat to both home and business users of technology and as a result needs to be treated that way. The worst thing you can possibly do is think that it won’t affect you. Anyone with an Internet connection is a potential victim. And hackers don’t care if they’re targeting individuals, small businesses or multinational enterprises. All they care about is taking your money. READ NEXT>> What is malware?